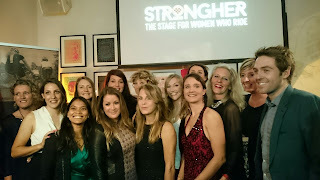 2Wheel Chick: Women's cycling just got Strongher! 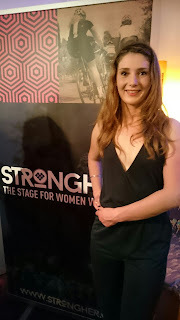 First we had #weownyellow, next it was #takethestage - and now, we have Strongher, the fully fledged incarnation of an initiative set up by Marianne Vos and a group of other women's cycling ambassadors. So I went along to the grand launch at the packed Look Mum No Hands cafe last Friday. It was great to see so much enthusiasm for what could be a really good way to bring more women on board in cycling. Yet another cycling initiative in women's sport, and in a cycling too?? Well, this one is different because it is international - it was started by former road, cyclo cross and track cycling ( and London 2012 Olympics road) champion Marianne Vos. She and her mates in the Netherlands, including Marit Huisman dreamed up this idea almost two years ago. They wanted to make this a global phenomenon and to that end a number of ambassadors from countries far and wide are on board - from the UK, Australia, Poland, Venezuela, Italy and other places. So the platform consists of a downloadable app from Stronger.cc. Working in partnership with Shimano Strongher aims to connect women around the world and get them together to either take part in events organised by the ambassadors (such as a London-Paris bike ride or cycle training around Girona, Spain) or just hook up to do their own rides together. The good thing is that it is open to women of all levels - riders at Marianne's level can meet up, but also there are ambassadors at my level, i.e. local amateur racers such as Beth Hodge from a local cycling club in London, Dulwich Paragon. There are also ambassadors who welcome newbie riders or women who just ride for leisure. So on the website there's a lot of information about cycling advice, rides and people's inspirational stories to tempt you out on a two-wheeled adventure. Furthermore, the riding is not just confined to road cycling. 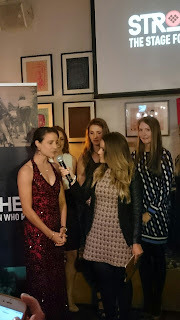 Women's 2015 Tour stage winner Hannah Barnes is an ambassador, but also Downhill mountain biker Manon Carpenter is one, and there are other ambassadors who do BMX biking, cyclo cross and track cycling. Last year's world downhill mountain biking champion Manon Carpenter said: "There's a lack of girls in downhill mountain biking, so I am keen to help get other women into cycling. I hope to organise a couple of women's events. I have already taken my mum out on a few trails!" In the words of Marianne Vos, "There's a lot of diversity in the world, but cycling is the same for everyone. It doesn't matter where you are. Strongher is the chance to be caring and sharing on the bike with other riders in other parts of the world, or with a cyclist two blocks from you." Strongher is getting a fair amount of support. Even National time trial champion Movistar's Alex Dowsett turned out to show his support for women's cycling. I hope this idea spreads and we have women from around the world meeting up for bike rides and bike events. As someone who likes biking and travelling, I think it's a great opportunity to meet local folks when on foreign shores, and I'd be happy to show foreign riders around the lanes in Surrey and Kent. 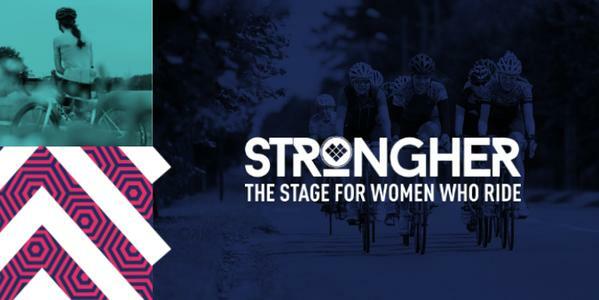 Strongher will certainly add an extra dimension to women's cycling. Thank you Safae. Glad you like the post.